After a gratifying lunch at Neanderthals I decided to take a walk around the Prahran markets, it being literally next door and all. It is a magical place full of delicious items and fine foods. I particularly liked the butchers which had dry aged and wet aged Black Angus, as well as Wagyu for sale. I felt like a kid in a candy store. It’s safe to say I know what I want for Christmas. 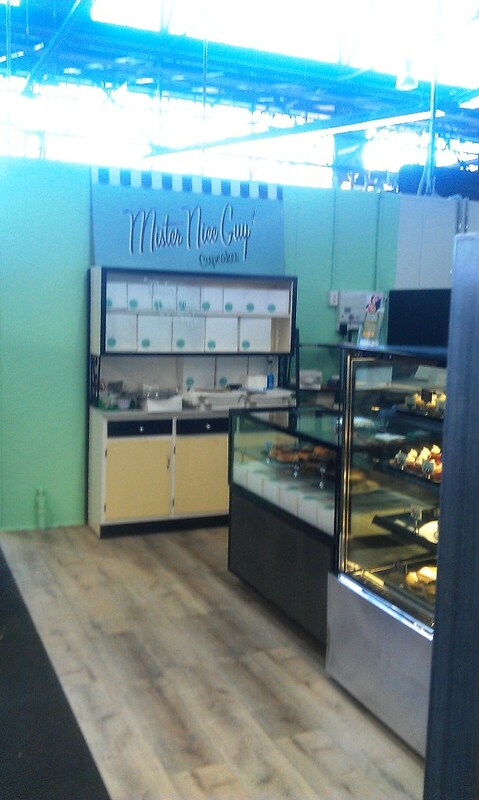 I wasn’t planning on stopping by Mr Nice Guy Cupcakes, but as I walked by the wide variety and unfamiliar flavours caught my eye. There was Pumpkin pie, Black and white, Earl grey, French toast and many of the usual cupcake flavours. 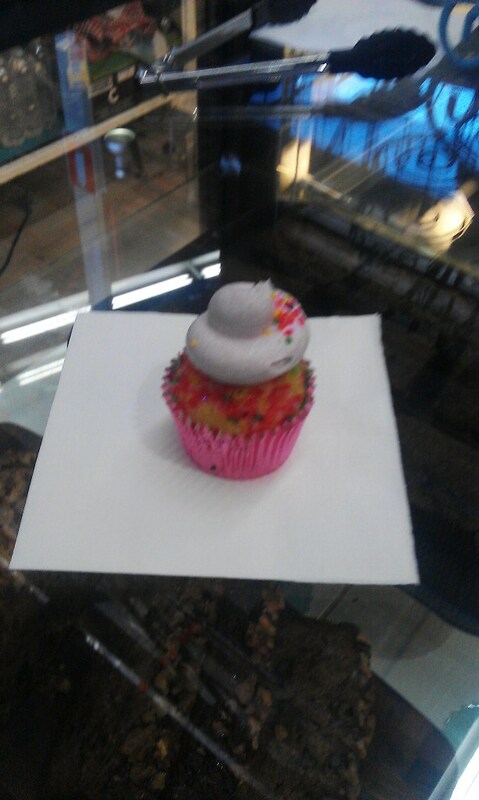 I however chose a much more exotic one: the Unicorn Milkshake cupcake, which in reality was really just a vanilla cupcake with sprinkles and some kind of sparkly icing, but man did it sound cool. The idea behind the flavour was good although I don’t eat vegan cakes so I can’t comment on the texture. If you’re a vegan and love a cupcake, head on over. I’m told they also sell them at various stores around Melbourne. 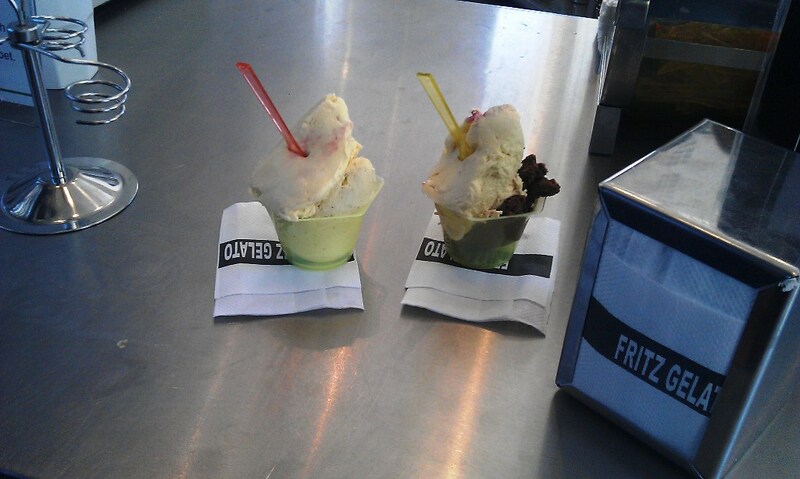 The next think I felt like was some gelato, and where better than Fritz. It’s a small unassuming store towards the back of the market with just enough flavours to make it a difficult choice. It also doesn’t help that a majority of their flavours are award winning. After a 5 minutes deliberation, and tasting practically everything, I settled for the Chocolate and Raspberry Panacotta. One bite of the chocolate and I felt like I was back in Italy. It was fantastic, I only wish there was more. The Raspberry Panacotta was equally good, perfectly balanced. 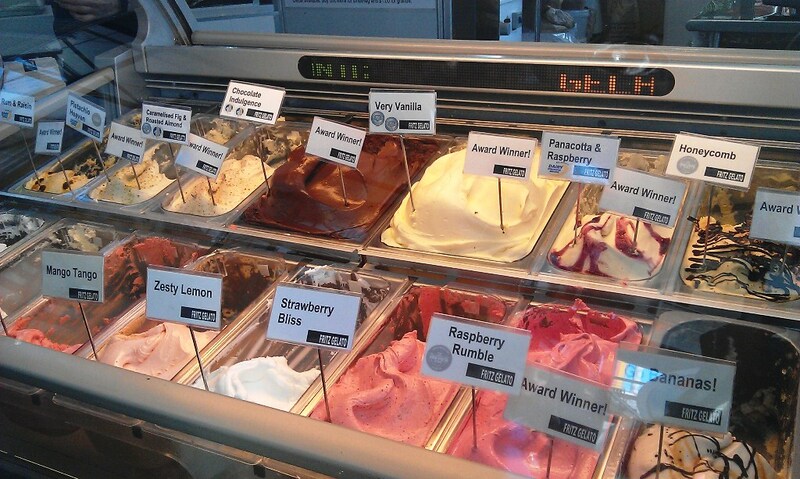 Amazing gelato and friendly service, Fritz is definitely a winner. Posted on November 11, 2013 by AdrielPosted in Melbourne, SteakLESSTagged Chocolate, Cupcake, Gelato, Market, Melbourne, Prahran, South Yarra.